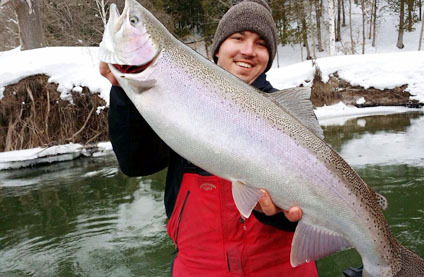 Michigan has more than 36,000 miles of rivers and streams, including over 12,000 miles of cold water trout streams! And there are currently 2,091 miles of river and streams are designated as state Natural Rivers. 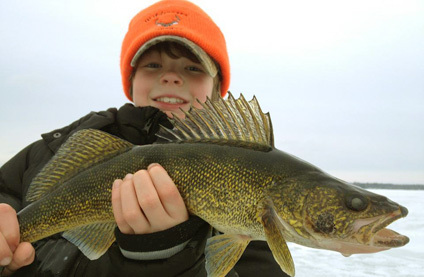 With its rocky bottoms, swift currents, and clear cool waters, Michigan river fishing can compete with famous rivers of the world. These rivers provide great fishing habitat for chinook and skamania steelhead, rainbow trout, brown trout, walleye, bass, and in some rivers you can catch muskie, walleye, and northern pike. 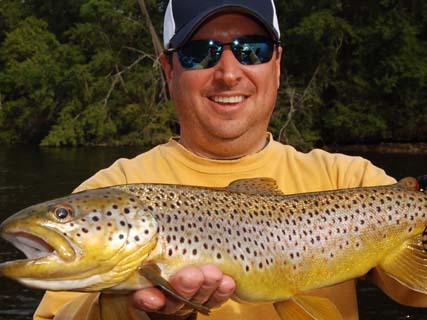 These rivers provide great fishing habitat for chinook and skamania steelhead, rainbow trout, brown trout, walleye, bass, and in some rivers you can catch muskie, walleye, and northern pike. 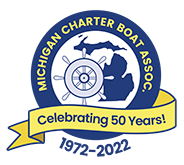 Member captains charter from these destination ports; tributaries of Lake Huron; Au Sable River, St. Mary's River, Saginaw River, tributaries of Lake St. Clair and Lake Erie; Detroit River and St. Clair River, and tributaries to Lake Michigan; Grand River, Big Manistee River, Muskegon River, Pere Marquette, Betsie & St. Joseph River.